Blogging can be lonely. Maybe that’s why after only a few months of slogging away on my blog, I reached out to other members of the blogosphere to participate in Band of Bloggers. One of the first people to respond was Tia from Financially Fit and Fab. As a newbie blogger just starting my first blog feature, I was excited anytime someone agreed to help me out. But when Tia told me she’d love to share some of her wisdom, I was PSYCHED!! Real followers!! More than the few hundred I had. She had…thousands, an actual follow-ING!! I couldn’t believe someone that established, who’d been in the financial services industry for 9 years, and who’d blogging for 2, would actually say YES!! And she definitely didn’t disappoint. With her background and knowledge, Tia’s responses are both insightful and progressive. I love how she demonstrates a Growth Mindset in all that she does and the wisdom she shares bares that out. She doles out both philosophical and practical wisdom beyond her years and I’m so thankful she took the time to encourage me and help me out! Last year I learned that 85% of millionaires read 2 or more books per month. While I’m not a millionaire yet, I adopted the goal of reading 2 books per month in 2017. I ended up reading a variety of books – personal development, money management, and biographies. Overall, the books helped me to reevaluate some of the goals and priorities in my life as well as gave me additional motivation. I’m very glad that I decided to read more and I continually encourage others to read more. It’s no coincidence that many people who are wealthy are readers. You don’t get to be a millionaire by sticking your head in the sand and never learning anything. Millionaires are characterized by a Growth Mindset, and learning through being exposed to new ideas in books is essential to this. As you’ve heard me mention previously, the one thing that I find holds me back from reading is a lack of time. I listen to podcasts and audiobooks from the library, but I really wanted to take my learning game to the next level, so I finally pulled the trigger on an Audible subscription. I’ve only had it about a week, but I’m LOVING it!! 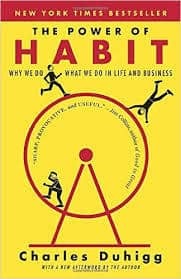 I’ve been listening to The Power of Habit by Charles Duhigg. I crushed close to 3 hours of it the other day while I was outside doing Spring yard work. For $15 a month, it’s an investment in my Growth Mindset and one that’s well worth it. Focus and don’t compare yourself to others!! It is so easy to get distracted by what other people are doing. At times it may make you feel like you HAVE to take the steps other popular bloggers take. The thing is, everyone’s journey is different and everyone is on a different path. The most important thing is to focus on writing about things you love consistently. Of course, consistency means something different to everyone. Figure out what works for you. It seems like the whole blogosphere is set up for us to compare ourselves to people who are more successful than us. Maybe it’s not just bloggers either. Isn’t that kind of how life is? I know what Tia’s saying is true, it’s just that it’s hard. And we don’t really like hard. But she’s right that comparing can be trouble at times. If we compare our beginning to someone else’s middle and expect our beginning to be like their middle, we’re in for a world of disappointment. I do believe, though, that it IS important to compare ourselves to others. If we don’t compare ourselves to people further down the road, who are where we want to be, and have accomplished the things we want to accomplish by doing things we don’t know how to do yet, then how can we ever expect to get to where we want to be? What one thing has been most effective for increasing traffic on Financially Fit and Fab? The most effective way to increase traffic to my blog has been through posting on Pinterest! I know people say it all the time, but I started using Pinterest for my site in July 2016 and I have seen my traffic grow drastically. Once I learned the power of Pinterest, I stopped performing many tasks that didn’t carry as much weight. For example, I used to spend hours a day posting in Facebook groups and reciprocating to other bloggers. While it seemed productive, the majority of my traffic comes from Pinterest. Because of this, I stopped posting in a majority of the Facebook groups that I previously was focused on. After 6 months of blogging, I’m finally starting to learn this. I love Twitter. I’m not addicted. But almost (my wife may give you a slightly different answer). One thing I’ve found about Twitter is that it is FANTASTIC for building relationships and getting to know other bloggers. From a networking perspective, it’s killer. But it hasn’t driven as much traffic to my site as I’d like. I get a few shares a day, and people coming from Twitter, but nothing crazy. So I’ve put Twitter on the back burner for a bit to focus on Pinterest. A few months ago I joined the Billionaire Blog Club (Scrivs, the awesome owner, actually just opened the doors again until Friday. If you want in, check it out!!). I was a total Pinterest virgin. Actually, to be more accurate, I was practicing abstinence when it came to Pinterest. I didn’t understand the platform, it annoyed me, and it seemed very alien, kind of like the anti-Twitter, which I was used to. BBC has an AMAZING Pinterest tutorial taught by Scrivs where he walks you through how to use Pinterest, everything from getting your account set-up to joining BoardBooster and using it to automate posts, to how to join the perilous “Group Board”. I know a lot of people find joining group boards really tough, but using BBC (and the contacts from the group) and some good old-fashioned hard work, I’ve joined 50! And I can’t wait to continue to grow my readership from Pinterest. BBC has been incredibly helpful and it’s AWESOME having an experienced blogger like Scrivs there to answer all the questions a newbie like me can throw at him! Be sure to check it out! The other source I’ve been exploring is Reddit. Now it hasn’t been as successful as Pinterest. Somehow I actually managed to get banned from the Personal Finance section (first time I’ve ever been banned from something). I committed an egregious error…I posted a link to my site!! The people at Reddit frown on self-promotion, at least in some sections of the site, so you have to tread lightly. Fortunately for me, my Twitter networking has lead me to a group of bloggers with expertise in this area, specifically Michael Dinich, and I’m leaning on them to help me out. The jury’s still out, but I’m looking to drive more traffic to my site using both of these methods. Automation has literally saved my life! I used to spend so much time manually posting to social media. One thing I’ve worked on is using as many tools as I can to automate my site. I use Hootsuite and Tailwind to automate a majority of my social media. I’d echo the automation piece. There’s an INSANE amount to do as a blogger. I could quit my job and work 10 hours a day blogging and still not get done everything I want to. So when you do it part-time in the evenings and on weekends, you really need to be efficient, which is why automating whatever you can is key. I use Buffer to automate my Twitter and it works really well. I tried Hootsuite but it was failing to send my tweets and acting all strange, so I kicked it to the curb. With Buffer I use the free version which only lets me schedule 10 tweets at a time, but for now it’s fine. And like I said, I use BoardBooster to schedule for Pinterest. For the super reasonable price you pay, it works really well. Each pin cost just 1 cent, so for me to pin 500-1000 pins in a month is between 5 and 10 bucks. What purchase in the last year (or recent memory) has most positively impacted your life? The more specific details the better! I have two that come to mind, one related to my blog and the other sort of blog related. The fave blog related product is the Making Sense of Affiliate Marketing course. It helped me to grow my affiliate marketing TREMENDOUSLY after implementing it the first month. Non-blog related would be my MacBook . My old computer was on its last legs. It needed to be plugged into the wall to work and had to be restarted a MILLION times and was super slow. I blogged with it for a while. But my new MacBook I love love love! Which is better? A goal that is too small and you achieve it, or one that is too big and you don’t? Why? I think it is better to set big goals and not achieve them. 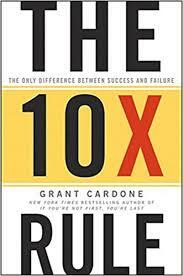 One of the books I read in 2017 was The 10X Rule by Grant Cardone. The key philosophy that he teaches is to set a goal and then multiply it by 10. So, if your goal is to make $1000 from your blog, change the goal to make $10,000 from your blog. That way even if you only make $5000, you’ve still surpassed what you originally thought you could accomplish. 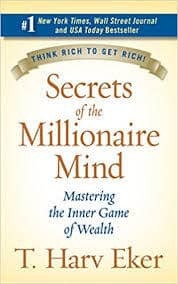 In T. Harv Eker’s book Secrets of the Millionaire Mind , he talks about how the rich set HUGE, audacious goals. The poor, on the other hand, well they think small. After I read the book I was reflecting on my mindset. Were my goals too small? Was I reaching high enough? I decided I wasn’t thinking big enough. One goal I had seen another blogging veteran of 5 years or so tweet out was that they wanted to be a guest on a podcast. “Hmmm,” I thought, “That would be cool.” So, as a new blogger, I set a goal to be a guest on a podcast too. Except that didn’t seem big enough. So I decided I’d shoot to be a guest on 5 podcasts! And I tweeted it out so that I’d have the Twitterverse to keep me accountable. And ya know what? I’ve been so incredibly fortunate to have been on SEVEN podcasts in my first 6 months of blogging!! 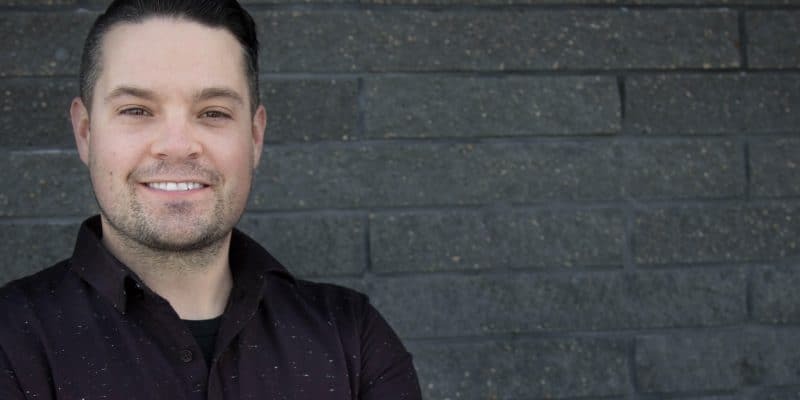 They’ve ranged from hanging out with Andy from Marriage, Kids and Money and talking about how to pass on our money values to our kids, to talking with podcast giant Don Wettrick and his tens of thousands of listeners (He’s had guests like Seth Godin and Gary Vaynerchuk…and Matt Matheson!!! This podcast drops this Friday!!). The whole thing has shown me that in my mind I was shooting for the stars. The problem was, those stars were still in my solar system. 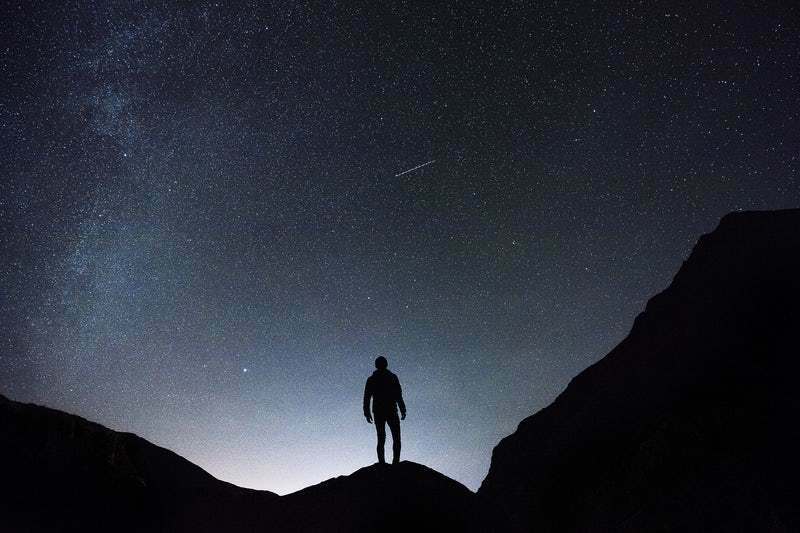 The universe is a big place and there are stars that are WAY out there I need to be gunning for. Cultivate a Growth Mindset and never stop learning. Blogging is A LOT of work. Be sure to work efficiently and aim for getting the biggest bang for your buck. Set big goals. Don’t settle for goals that are “doable”. Reach for something that is beyond your grasp. You’ll be forced to grow to take hold of it. 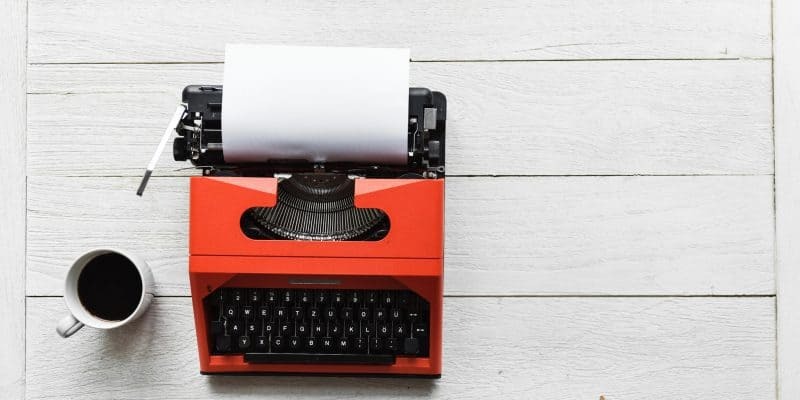 If you can successfully put those three action points into practice, you’ll begin to crush your side hustle as a blogger. And you’ll be hacking your way to a more successful life. Bio: Tia is a Certified Financial Educator with over 9 years of experience in the banking, student loan, and investing industries. After raising her credit score 150+ points, she founded Financially Fit and Fab in 2016 to help millennials kick their finances in shape. The site focuses on budgeting, credit, saving, investing, homeownership and making extra money. What crazy-big goal have you set for yourself? Add to the conversation in the comments below or on Twitter @method_money or my Facebook page Method To Your Money. You can also find me on Pinterest. Want more great ideas for mastering your money? Sign up to receive my weekly emails detailing how to keep more of your hard earned cash!